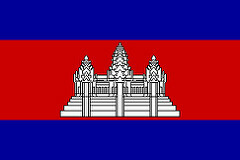 Cambodia joins the 38 member states of the European Patent Organization (EPO) with a validation agreement. For all EPO patent applications filed on or after 1 March 2018, Cambodia is automatically designated. The validation fee, now under $250, must be paid within six months after the European search report is published, or within two months later with a surcharge. Failure to timely pay the validation fee results in the withdrawal of possible rights under the EPO in Cambodia. It is interesting to note that pharmaceutical product patents cannot be enforced in Cambodia. Thus, an EPO patent validated in Cambodia for pharmaceutical products is rather hollow unless and until that law is changed. That may occur in 2033 as Cambodia’s waiver under the World Trade Organization (WTO) expires. This change may affect few people who read this article, but it shows that change is constant. The EPO has now added three validation states and is in discussion with several more.